Unveiled during the 22nd Annual Sales & Marketing Awards (SAMMYs) presentation, SSI digs into how these security providers stir up the interest of prospects and customers while standing out from the competition. 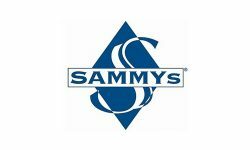 It’s fitting that Security Sales & Integration’s annual Sales & Marketing Awards (SAMMYs) celebration is always held in conjunction with ISC West in Las Vegas, but on the day before the exhibit hall opening of the tradeshow. 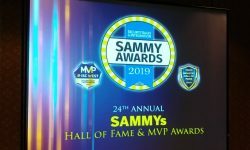 That makes the SAMMYs event — which also includes presentation of SSI’s Industry Hall of Fame inductions and Most Valuable Product (MVP) honors — a tasty appetizer to look forward to before moving on to ISC’s main course the following day. Much like the awards gathering, sales & marketing in itself provides the enticement to lure security integration customers before you can actually deliver their main dish of a designed and installed system. The process is imperative for setting the table on what’s to come from your company in meeting the needs of prospective and existing customers. 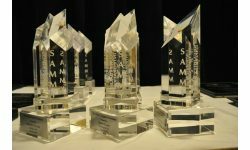 SSI received more than 130 entries for its 22nd edition of the SAMMYs from installing and monitoring security systems contractors from throughout North America and even some from abroad. SSI would like to thank the panel of independent judges who evaluated a multitude of entries. These individuals are among the industry’s top marketing and PR professionals. They are: Tom Brigham, principal, Brigham Scully Communications; Jon Daum, partner, Daum Weigle Public Relations; David Morgan, co-founder, Security Dealer Marketing; and Sue Toscano, principal, Toscano Communications. Also, a special thank you goes out to program sponsors ADI, Campus Safety Magazine, ESA, Honeywell, ISC West, PSA Security Network and SIA. Scroll down and check back over the next week to find a full menu of sales & marketing ingredients in 11 categories that may serve your customers and prospects well too. You can find Installers and Integrated Installations of the Year here.